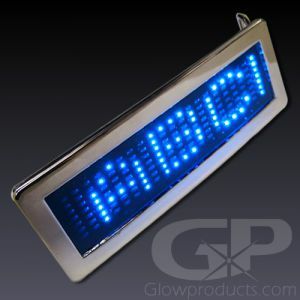 - Programmable LED Message Pocket Fan! - Program Your Own Custom Messages! - Holds 6 Separate Messages - 18 Characters Each! 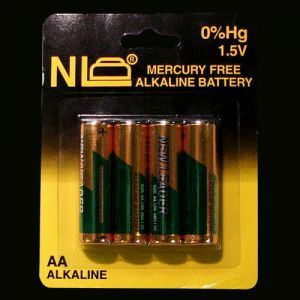 - Durable, Easy to Use with Bright Blue LED Lights! 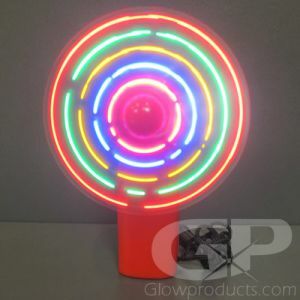 Make your announcement, promote your brand, wish someone happy birthday, cheer on your team all in bright glowing and spinning light with the fun Programmable Message Pocket Fans! Scrolling Message Light Up Fans are perfect for wedding favors, promotions, fun office events, special birthday parties, or just any time you need to send a message to the world. 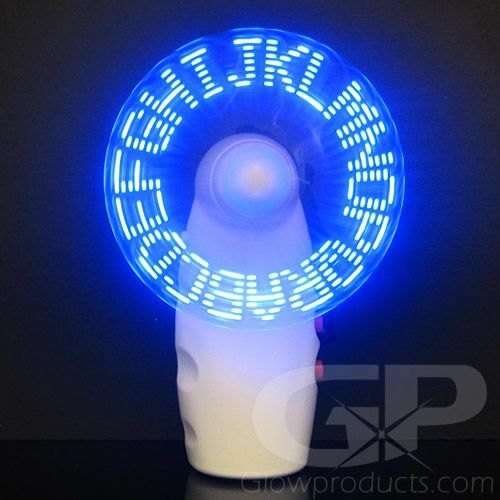 The LED Message Pocket Fans have white handles with bright blue LED lights and can store up to 6 separate messages - with each message able to hold up to 18 characters. Select from the full range of the alphabet, numbers 0-9 and more than 20 other symbols. 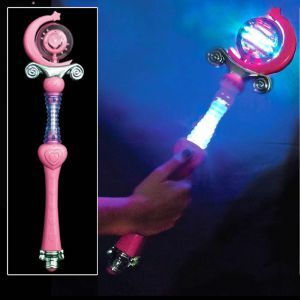 Get ready to make your message shine with dazzling light today! 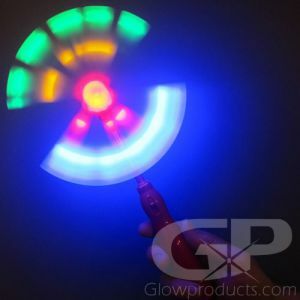 Instructions: To start the glow in the dark message pocket fan just press the button on the left side. To input your personalized message, use the buttons to the right. Easy to follow instructions are included.